I have had a lifelong dream of packing up everything I own (well, more like everything I need) and traveling along Route 66 from one end to the other. But I also like having a paycheck and health insurance, so until I can somehow find out how to survive without those, I'll have to settle for seeing Route 66 piece by piece. On our recent trip out west we traveled a good chunk of the Mother Road, from Flagstaff, Arizona to Tucumcari, New Mexico. 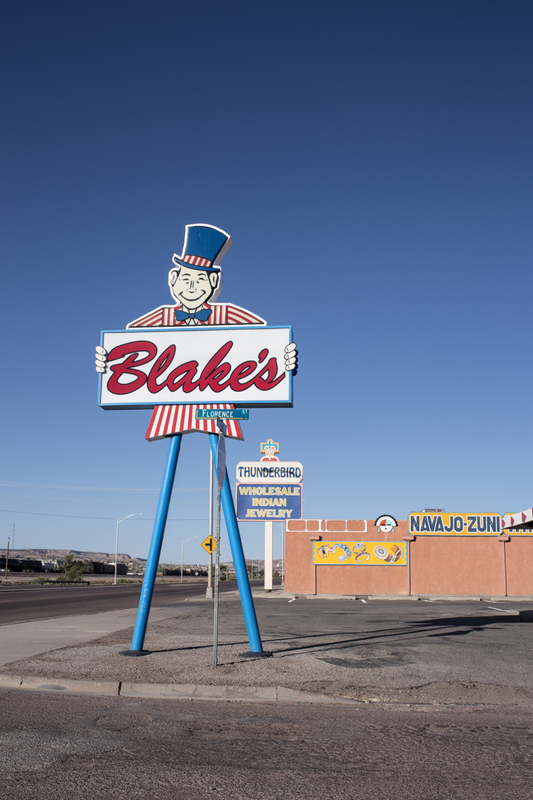 President Eisenhower's Federal Interstate Act of 1956 called for the creation of four-lane highways across the country and by the late '60s most of Route 66 was replaced, chopped up or bypassed completely by I-40 in Arizona and New Mexico. Route 66 was officially decommissioned in June of 1985 (just two months before I was born! ), although about 85 percent of the original road still exists. Gallup, New Mexico is the largest city located between Flagstaff and Albuquerque. A large portion of the population is Native American, from the Navajo, Hopi and Zuni tribes. We stayed overnight at the El Ranchero (worthy of its own post) and headed east the next morning. JMP got in the driver's seat and when I offered to drive she replied, "so you can stop every five feet and take photos?" She knows me very well, of course, because that's exactly what I proceeded to do, and I didn't stop until a few days later when I boarded a plane back to New York. For anyone who knows me it might be surprising to hear that I didn't have much on our itinerary for some of the days. This flexibility allowed us to discover places like the abandoned diner or add extra stops when it looked like we'd have time, like the Rehoboth Mission Cemetery. The best thing about traveling on Route 66 is that you don't need to have an itinerary or to blindly follow your GPS from stop to stop. You're guided by the road, not the destination and we'd pull off whenever we saw something that caught our interest—like the Continental Divide, which we both learned is the point where all water to the west flows to the Pacific Ocean and water to the east flows to the Atlantic. When I noticed that our drive from Gallup to Albuquerque was looking a bit sparse, I consulted my friend Tag who grew up in New Mexico. 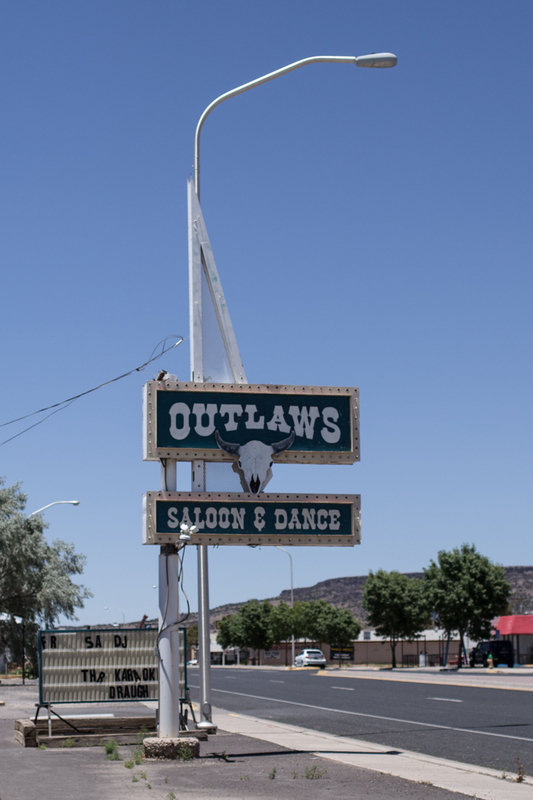 He confirmed that there wasn't much to see between the two cities, but mentioned that we should try to pass through the Route 66 town of Grants. We drove on I-40 when we had to, but tried to follow the Historic Route 66 signs as much as we could. Grants is a small town (population less than 10,000) about halfway between Gallup and Albuquerque. Founded as a railroad camp in the 1880s, residents found success with logging, Route 66 tourism, uranium ore mining and agriculture—at one time Grants was even known as the carrot capitol of the US. Today, like most of the Route 66 towns we drove through, Grants feels like a ghost town, full of abandoned homes and businesses. The Hollywood Diner was a favorite of mine, and it looks like it has had several lives—we found evidence that it has housed not only a diner but a tattoo shop and pet grooming business (hopefully not at the same time?). 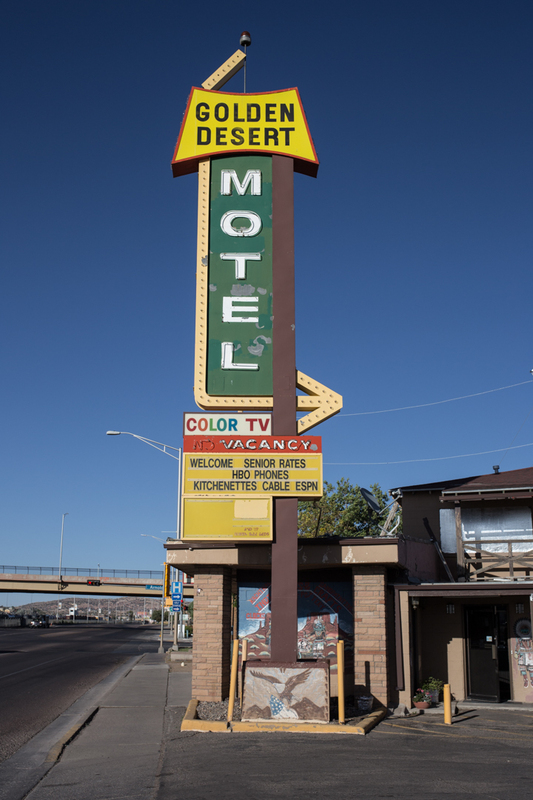 Some of the buildings have been left to crumble but others have been demolished entirely—nothing left but their ambitious neon signs standing guard, no longer beckoning travelers at night, but cracking and fading in the desert sun. A lot of these photos are available as prints over in my Society 6 shop, and I will be adding more as I sort through the overwhelming amount of photos I took on this trip.